Providing Window Repair & Window Installation for Spokane, WA. Window Installation in Liberty Lake, Newman Lake, Mead & Cheney, Washington. Get Sliding Doors & Decks Too. Inland Home Improvements is the trusted resource for window repairs and window installations in Spokane, Washington. In addition to the work that we do within the city limits, our service area extends into other nearby communities, including Liberty Lake, Newman Lake, Cheney, and Mead. We have been building our reputation for close to two decades, and we consistently exceed the expectations of our clients. In fact, you can visit our testimonials page to get first-hand accounts from local homeowners that we have worked with in the past. We adapt our expertise to suit your needs. 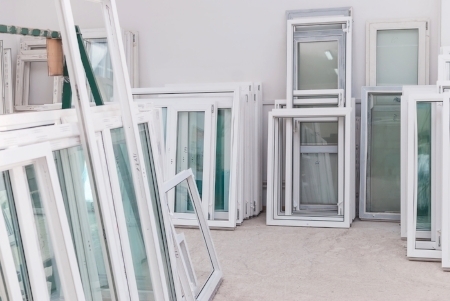 If you have a broken window or multiple broken windows, but you are perfectly happy with the frames, we can install replacement windows within the frames. This is actually something that you may want to consider even if your windows are not broken if they have not been replaced in many years. Why would you need replacement windows if your existing windows are not compromised in any way? Back in the day, window manufacturing technology was not very advanced. They used energy inefficient single panes, and there was no high-tech coating to minimize thermal transference. As a result, your heating and cooling systems have to work harder if you have outdated relics masquerading as windows. If you have these old-school windows in your home, you are letting money go down the drain unnecessarily. New, energy-efficient replacement windows with multiple panes, argon gas insulation between them, and low-E coating can change everything. Yes, there will be some expenses, but you will save money in the long run when your energy costs go down. We also offer brand-new replacement windows with state-of-the-art frames that add to the energy efficiency. Vinyl replacement windows are very widely utilized, and they offer a host of benefits. Wood windows were once the standard, but it takes a lot of work to maintain them properly. Things are entirely different with the vinyl replacement windows Spokane, WA homeowners can obtain through our company. They are virtually maintenance free, and you can easily wipe them clean with soap and water. These windows are built to withstand the test of time, and they come in many different styles and colors. Our window installation technicians place them with impeccable precision, so we provide turnkey assistance. Whenever you need a window repair or window replacement in Spokane, Liberty Lake, Newman Lake, Cheney, or Mead, WA give us a call at 509-444-0123. We also have a contact page on this website that you can fill out to get in touch electronically.